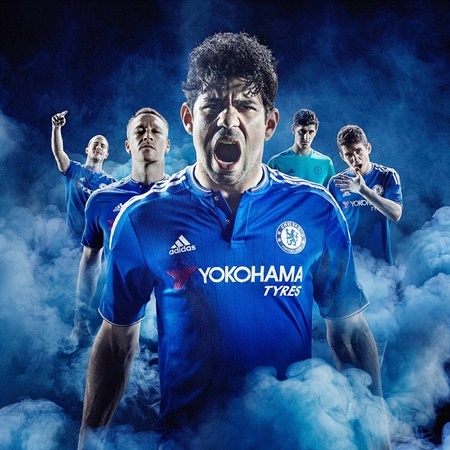 Premier leage giant, Chelsea reveal their new adidas home kit for the 2015-16 Premier League season with big-money sponsors Yokohama Tyres. 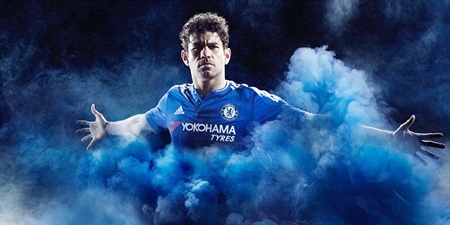 English Premier league club, Chelsea FC, have launched their new home shirt for the 2015-16 season with sponsors, Yokohama Tyres, as Diego Costa leads the promotional campaign. 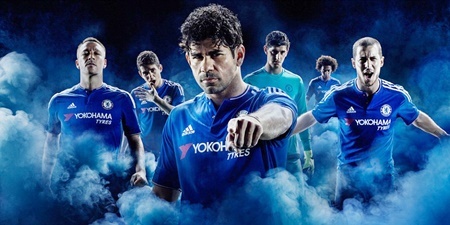 The champions new strip comes with the motto: ‘If it’s not blue it will be,’ as adidas and Chelsea look to focus on the players determination to dominate domestic and European football. The shirt will be worn on the club’s pre-season tour to the US, with games against the New York Red Bulls, Barcelona and PSG, with a formal reveal at a grass roots football event in Harlem on 21st July. Costa, Oscar, Jon Terry, Eden Hazard, Thibaut Courtois and Willian all heavily feature in the promotional photos and videos as they show their support for the eye-catching shirt. Chelsea will first wear the kit in the Premier League when they face Swansea at Stamford Bridge on the opening day of the season on August 8. The home kit will be available to buy from the 22nd July at Addidas and Chelsea own-retail stores, specialist sports retailers and e-commerce channels worldwide.